Last Updated: 01 Aug 2013. India has produced several great leaders but I consider Jawahar Lal Nehru my favourite leader. He was the first Prime Minister of free India and a great statesman. 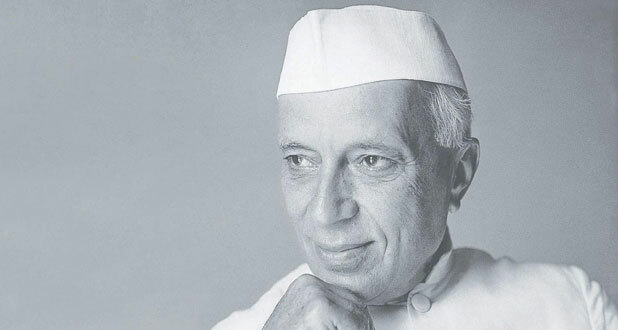 The life of Nehru and the history of India’s freedom struggle are inseparable. He was considered the uncrowned King of India. He is the one leader who has won the hearts and admiration of not only his countrymen but the entire world. He championed the cause of freedom of humanity. Throughout his life he worked for world peace and the upliftment of the downtrodden. Jawahar Lal was born in Allahabad on the 14th, November 1889. His father Motilal Nehru was himself a great patriot and lawyer. Jawahar studied at Cambridge and took to law. He threw himself in India’s freedom struggle. He took part in "Salt Satyagraha". He had been continuously in jail for a number of years. During the jail period he wrote books such as "Discovery of India", "Glimpses of World History". He took part in the independence movement under Gandhiji, following his policy of non-violence. He bequeathed his big house in Allahabad to the Indian National Congress. After India got freedom he gave a stable democratic Government for two decades. He is rightly called the "Architect of Modern India". He loved children very much. His birthday is celebrated as children’s day. He is known to the children as "Chacha Nehru". He died on 27th May 1964. We should cherish his ideals. By Rekha / In Mumbai, Maharastra..
Gandhiji is the leader I like most. He is the father of our nation. I admire him for his following noble qualities like, simple living, high thinking, tolerance, courage, self-confidence, etc. Gandhiji was not born great. He was a blundering boy. He was an average student, poor lawyer and an ordinary individual. He was a self remade man. Gandhiji was an embodiment of love and faith. He showed religious tolerance. He was more Christian than most Christians. Like Jesus Christ Gandhiji loved all. He identified himself with others. He was a Christian, a Hindu, a Muslim and a Jew. Gandhiji preached what he practiced. He practiced what he believed. For mental health he prescribed truth. Civil disobedience and non-violence are Gandhiji's political weapons. By being pure in politics Gandhiji became a statesman-saint. Gandhiji hated materialism, caste system, untouchability, pride, religious and regional separation. Gandhiji preferred violence to cowardice. Cowardice makes a man small who will yield to pressure. A coward will not defend his freedom, his principle or himself. Gandhiji gave the people the elixir of fearlessness. Gandhiji, like Thorean insisted on the individual's right to oppose governments. Democracy is hallow without the right to dissent. Gandhiji prescribed truth for mental health. He taught a set of values that might make happiness less dependent on material possession. Gandhiji was painted at the partition. So he did not celebrate the Independence on the 15th August 1947. Gandhiji's life shows a purity of purpose and devotion to truth. It also shows the greatness of character, mind and spirit. He is an outstanding individual of the 20th century. He is India's gift to the world.